2014 Reading: #45 John Grisham’s Playing For Pizza – It's Time to Read! The 45th book in 2014 was another from my Mount TBR Challenge – John Grisham’s Playing For Pizza. This is the second Grisham novel I have read this year, and it was very different to The Racketeer! 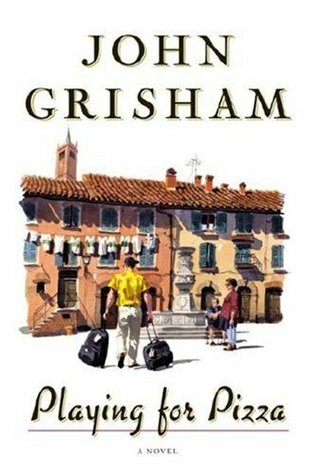 Grisham has stepped away from his law thrillers, and taken us into the world of American Football – albeit in Italy! I wasn’t sure what to expect from this novel, but I actually really enjoyed it. I do watch NFL with my husband – we are Chicago Bears fans – so I understood some of the football, but a lot of it was a bit beyond me! However, that didn’t spoil this book. It was a good read, I read most of the book in one sitting. I loved the setting, the characters and the passion. This is a worthwhile read, even if you don’t understand American Football. 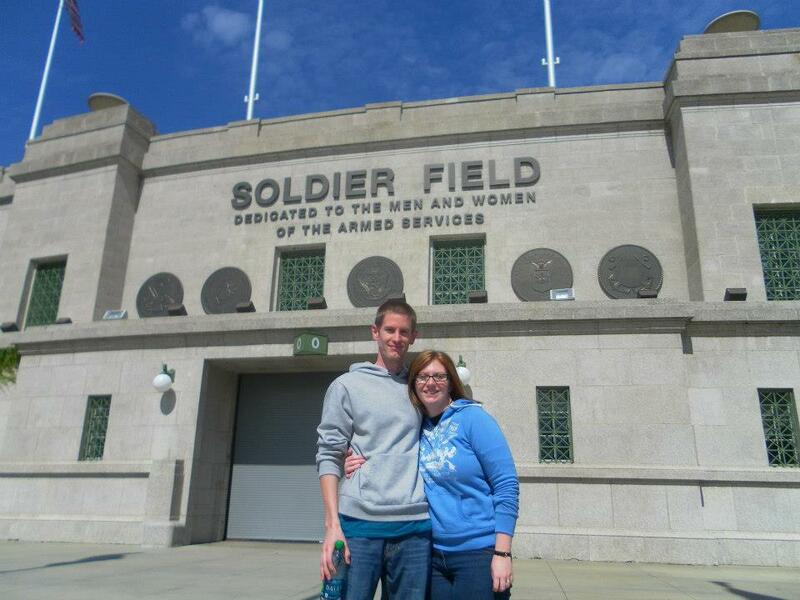 In case you are interested, back in 2012 we were lucky enough to have a holiday in America – we spent a week in Chicago with my husband’s family, and here we are outside Soldier Field before our tour. We didn’t get to see them play, although we did see the Bears play at Wembley a few years ago, but we did see some college football. We saw the Northwestern Wildcats play Boston College. It was a great holiday!